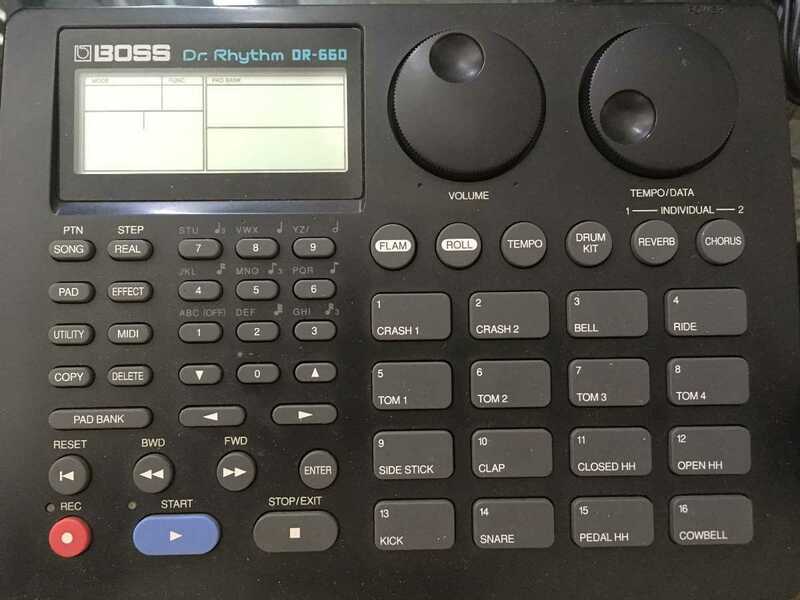 In the mid ’80s, Boss released two diminuitive budget drum machines : the DR220a and the DR220e.Both offered eleven sounds each, the difference between the two models being that one offered acoustic drum sounds and the other ‘electronic’ drum sounds (i.e. Simmons sound-alikes). I am sure you can work out which was which! 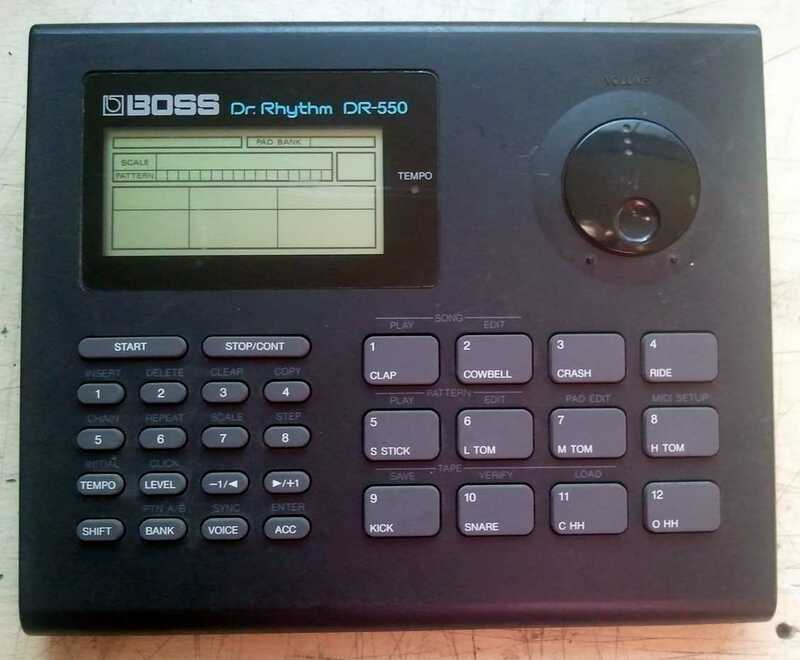 They weren’t amazing drum machines even in their day but they were very good value for money at the time especially if your requirements (and budget) were limited.The sounds are typical of the era : lo-fi and possibly a bit ‘flat’ but useful nonetheless, particularly the electronic kit sounds.Both are provided in Nostalgia in a single program. 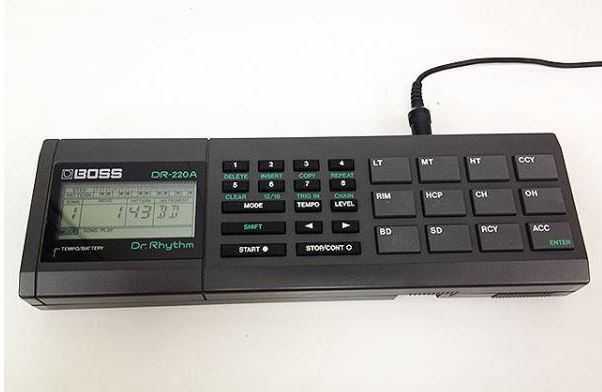 The DR220a is mapped out from C1-B1 and the DR220e is mapped out from C2-B2. 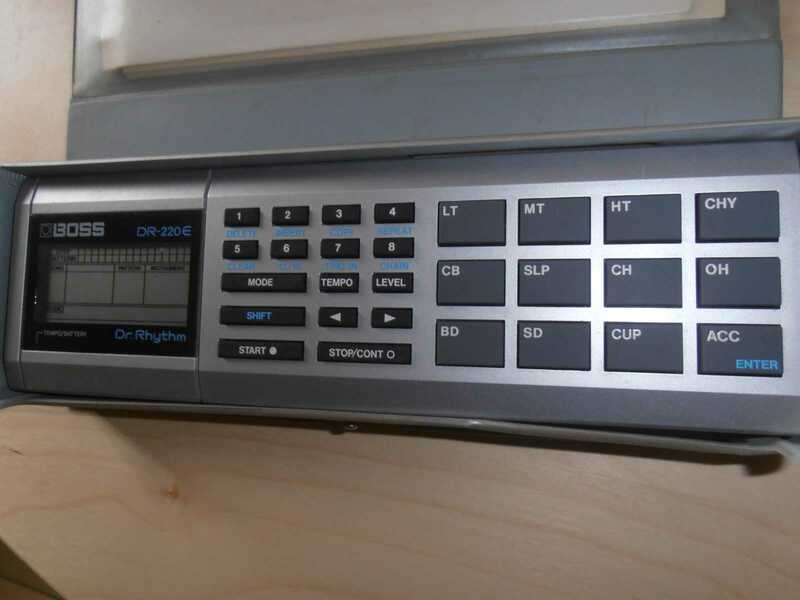 The sounds are panned to represent a stereo kit. Unlike the originals, the sounds here are velocity sensitive.Neither are anything to get too excited about in this day and age but they do have some vintage character and who knows, they may find a place in your work.